At least 20 people were injured this morning during a stabbing at Franklin Regional High School in Murrysville, Pa. Four of the victims were airlifted to local hospitals. One person—a student from the school—is in police custody. The severity of the injuries isn't yet known, though Westmoreland County emergency management spokesman Dan Stevens told WTAE he doesn't think they're life threatening. There are conflicting reports about the ages of the victims. Westmoreland County emergency management spokesman Dan Stevens told CBS Pittsburgh that all 20 were students at the school, though local hospitals have reported receiving victims between the ages of 14 and 60. 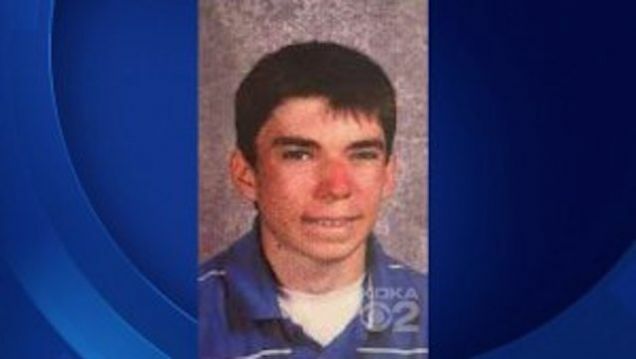 UPDATE 5:38 pm: The suspect has been identified as 16-year-old Alex Hribal, a sophomore at the school. Hribal used two knives—both 8-10 inches long—in the attack, according to Murrysville Police Chief Thomas Seefeld. Murrysville police Chief Thomas Seefeld identified the adult victim as a security guard at the school. Jeff Dahlke with the security company who provides security for Franklin Regional High School says the suspect was armed with two knives. "The alarm went off, and students started rushing outside, the security guard outside rushed in, and came upon his supervisor, and a vice principal who had the suspect in custody on the ground and was trying to control him, and try to get the weapons away from him," Dahlke said. UPDATE 10:56 am: Nineteen of the 20 victims were students; the other vicim was a faculty member. The suspect, a 16-year-old sophomore, was carrying two knives and was tackled by the school's principal. Police still don't know the motive for the attack. Forbes doctor: All knife wounds were to the lower abdomen...one student stabbed in the liver...some had injuries to their organs. #WPXI. Forbes Hospital says: 3 victims still in OR-critical condition, 2 stabilized in critical condition. 1 or 2 others may require surgery. UPDATE 9:34 am: Seven of the victims have life-threatening injuries, according to a doctor at Forbes Regional Hospital. Several adults were also stabbed in the attack.